Foreign Secretary Jeremy Hunt has issued a stark warning to Tory MPs that they risk losing Brexit altogether if they fail to back Theresa May’s deal in the crunch Commons vote on Tuesday. Mr Hunt said there was now “wind in the sails” of the opponents of Brexit and that it would be “devastating” for the Conservatives if they failed to deliver on their commitment to take Britain out of the EU. 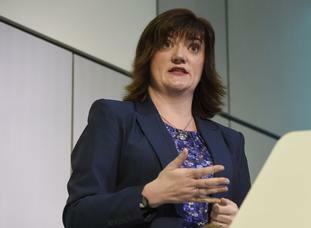 His warning came as former Cabinet minister Nicky Morgan said Mrs May could be forced out of No 10 if her Brexit strategy was “dismantled” by MPs in a series of Commons votes this week. Tory Brexiteers predicted that without an 11th hour concession from the EU on the Northern Ireland backstop, Mrs May was heading for another crushing defeat in Tuesday’s “meaningful vote” on her Withdrawal Agreement. A plane was reported to be on standby at RAF Northolt to fly the Prime Minister to Brussels to clinch an agreement if there was any sign of a deal emerging from talks over the weekend between officials. But in an apparent indication of the lack of progress, the EU’s chief negotiator Michel Barnier chose to travel to Dublin to attend the Ireland v France rugby international with Irish premier Leo Varadkar rather than remain in the Belgian capital. Mrs May has said if she loses the vote on Tuesday, there will be further votes on Wednesday on whether the UK should leave with no-deal and on Thursday on whether they should seek an extension to the Article 50 withdrawal process. What are the big Brexit votes coming up this week in the Commons? Mrs Morgan said that if the Commons were to vote against a no-deal break and then to delay Brexit, it would be the “beginning of the end” for Mrs May’s strategy. “I think that her position is going to become slowly less and less tenable as Parliament changes the Government’s Brexit policy,” she told BBC Radio 4’s The World This Weekend. The prospect of a vote on no-deal could also deepen the divisions within the Cabinet, potentially leading to further ministerial resignations. Mrs May has so far given no indication which way she would vote or whether Tory MPs would be whipped to back the Government line. However three Cabinet ministers – Amber Rudd, Greg Clark and David Gauke – have already made clear they would vote to take no-deal off the table. In contrast, Mr Hunt indicated he would vote to keep open the option of no-deal to maintain leverage in the negotiations with Brussels. “I think it’s very important that if we’re going to get the deal we want, we keep no-deal on the table,” he told BBC1’s The Andrew Marr Show. The Foreign Secretary said MPs who wanted Britain to leave the EU on March 29 now needed to get behind the Government and vote for the deal on Tuesday. “It is very important we grasp that opportunity because there is wind in the sails of people trying to stop Brexit. "We’re in very perilous waters,” he said. He said that if Brexit was derailed, voters would hold the Conservatives responsible for failing to deliver on the outcome of the 2016 referendum. “They are going to say there was a party that promised to deliver Brexit, we put them into Number 10 and they failed. "The consequences for us as a party would be devastating,” he said. Steve Baker, the deputy chairman of the pro-hard Brexit Tory European Research Group, retorted that it would be the Remainers to blame if Brexit was halted. “Stopping Brexit will be on you, not Brexiteers. Don’t kid yourselves otherwise,” he said. Meanwhile shadow Brexit secretary Sir Keir Starmer indicated Labour would not put down an amendment calling for a second referendum on Tuesday. He said there would be “plenty of opportunities” to do so in the coming weeks and that Tuesday should be about defeating Mrs May’s deal which has already been resoundingly rejected once by MPs by a 230 majority. “There is a growing feeling that this Tuesday should be a straight up-and-down vote on that deal,” he told Sky News’s Sophy Ridge On Sunday programme.